As Eon Productions decide what to do next with the 007 franchise, one issue is whether the series can sustain SPECTRE-sized budgets. Not long after, the humor faded as the hacking at Sony Pictures revealed a memo by a Metro-Goldwyn-Mayer executive saying the SPECTRE budget was heading well above $300 million, various outlets reported, including CNN Money. Efforts were underway to reduce the budget and gain, among other things, incentives from Mexico to help defray costs. Before the movie came out in fall 2015, reports (citing studio representatives who weren’t identified) had the budget down to $240 million or so. Regardless, the movie was expensive, putting it in the neighborhood of comic book-based movies such as Marvel Studios’ two Avengers films and Warner Bros.’ Batman v Superman: Dawn of Justice. There were, no doubt, lots of reasons for the outlay. But two scenes spring to mind. One was a Rome car chase, which cost 24 million British pounds (around $36 million at the time). Eon seemed rather proud of the spending, giving the Mail on Sunday lots of access to describe how it was filmed. The thing was, the chase was mostly plot exposition. During much of the chase, Bond (Daniel Craig) is on the phone to Moneypenny (Naomie Harris) asking her to check out the supposedly dead Franz Oberhauser. It wasn’t exactly in the class of 1968’s Bullitt or a more recent film such as 1998’s Ronin. “Largest explosion in the history of movies,” a pleased Mendes says in the video. Except, was it that dramatic a moment? Bond and Madeleine Swann (Lea Seydoux) already had made their escape. Obviously, blowing up SPECTRE headquarters would require a big explosion. But did the extra cost of making it a world’s record actually add to the story? Was the extra spending an artistic choice or ego? 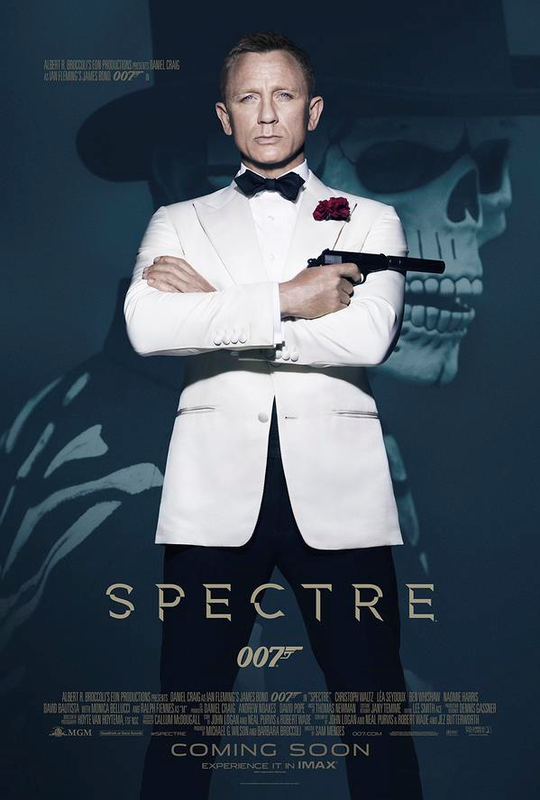 Just to remind everyone, this blog had a favorable review of SPECTRE. At the same time, in some respects SPECTRE indicates that Eon should at least review its spending. Put another way, would SPECTRE have been harmed if, say, only 12 million pounds had been spent on the car chase? Would artistic integrity been compromised if the SPECTRE lair explosion not been a world’s record? What’s more, the series on occasion has dialed back — most famously with 1981’s For Your Eyes Only which followed 1979’s Moonraker. It’s going to be a long while before Bond 25 comes out. Consider this post food for thought. I’ve only seen SPECTRE once and that was enough. I only remember the little things like the SPECTRE ring which designed for members to salute each other like Nazis; that was a great nod to Fleming. Other than that, the film was bogged down by filler. Yes, one could accuse the earlier films of filling up time with stunts and light comedy but at least it fun like in DIAMONDS ARE FOREVER and a few of the Roger Moore films. Of the many scenes in Spectre that fell flat, those were two of the most prominent. The car chase, which could and should have been an iconic, thrilling scene, was a complete, boring, awkward bust. No tension, no excitement, no thrills – just two dudes driving around Rome late at night while one chats on the phone. The ‘lair’ scene, well, the less said, the better; everything about it was terrible, lazy film making. As much as I have loved the Craig films, this was a huge let down, and those two sections are a huge part of the reason and exemplify what was wrong with the movie. Although I enjoyed “Skyfall” very much (bear with me), I had a strong sense while watching it that it had been made on a very tight budget, by Bond standards. With its predominantly UK setting and Whitehall intrigue, it seemed to me far more modest than a supposedly “stripped-down” Bond movie like “For Your Eyes Only”. I get the feeling that ever since “The Spy Who Loved Me”, budget “bloat” hasn’t really served the series very well.